Though I’ve paid several visits to London over the last year, I’ve still only scratched the surface as far as photographing the capital’s ex-Woolies stores is concerned. 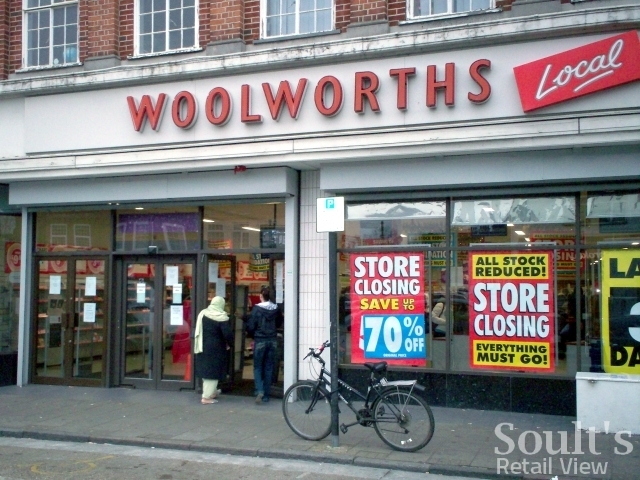 One that I haven’t yet made it to is the still-vacant store in Finchley Road, Swiss Cottage (store #1214) – apparently the last remaining empty Woolies site in north London. Many thanks to Geoffrey Barraclough and Alan Walker, who both dropped me a line last week to let me know of its impending takeover by the value fashion retailer Peacocks. 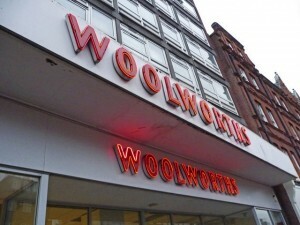 According to Alan, the store’s rather flamboyant neon letters – pictured below not long after its closure – have now been taken down, with work already underway on the property’s transformation. Following up my visit to the former Harrow store (#1198) back in May, I was also pleased to receive some photographs of the nearby store in South Harrow’s Northolt Road (#697, opened in 1937), captured by London reader Barry Marshall on New Year’s Eve 2008 during the shop’s closing-down sale. The shot at the top of the page features the familiar posters that bedecked over 800 Woolies sites at the end of 2008, including one proclaiming ‘70% off’ (as also seen in my photo of the Whitley Bay store, taken five days earlier) and another announcing the store’s ‘Last 3 days’. 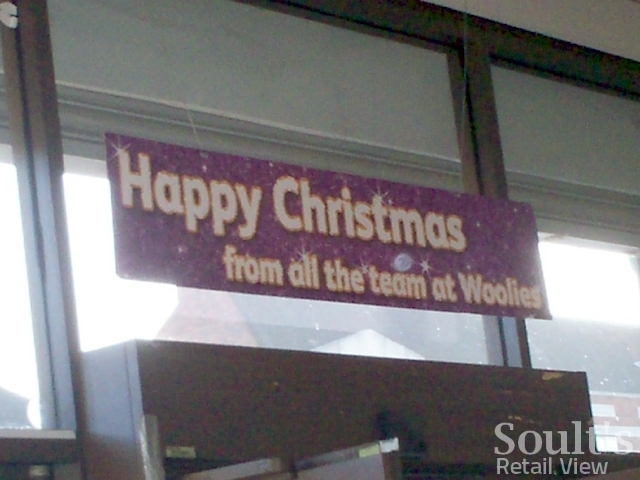 Happily the site was empty for less than a year, reopening as discount store ‘£ or 2’ in November 2009. From the images I’ve seen [broken link removed] the shop looks quite smart, and cleverly avoids the limitations of a single-price retailer by apparently selling everything “within a price range of £1 to £2.” With our high streets now full of Poundlands, 99p Stores and even a 90p Store, I’d be curious to hear of any other unusual price point stores that readers have come across on their travels. Barry also gave me a status update on the ex-Woolies in Harrow’s St George’s Centre, which looked set to be taken over by Peacocks and Sports Direct when I blogged about it in May last year. He tells me, however, that the site has recently reopened as a Wilkinson store, with thousands having apparently applied for the 90 permanent and 20 temporary jobs that were on offer. Wilkinson has picked up a relatively modest number of ex-Woolies sites, presumably due to many of the stores being too small for its requirements – those it has acquired have typically been large and often on more than one level. However, with a product mix not too dissimilar to Woolworths, an expanding national presence of over 340 stores, and pre-tax profits of nearly £65m in 2009-10, Wilkinson is surely Woolies’ natural successor in all but name – a thriving, growing and profitable business occupying the very retail territory that Woolworths once called its own. Thank you to Christine Matthews for the shot of the former Woolworths in Finchley Road, which is © Copyright Christine Matthews, and licensed for re-use under this Creative Commons Licence. Ah yes! That’s the one that was £ or 2? The South Harrow £ or Two has succumbed and is now a Poundland. Must have been converted in Nov or Dec 13. Thanks Bryan! I think £ or 2 went bust, but the reoccupation must indeed be very recent. I think this is getting contagious. I used to have a knack of spotting the remnants of old railway lines. 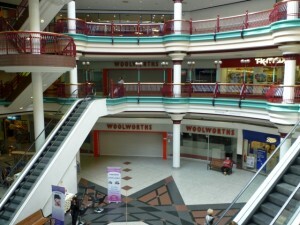 Now it is the remains of old Woolworths branches. How about the one in Golders Green Road.